Chilko River Sockeye salmon are harvested by the Xeni Gwet’in (pronounced Honey Coteen) using dip nets as they have for 10,000 years. Some of the most popular sites are located below Chilko Lake and upstream of the Taseko River confluence to avoid those co-migrating sockeye stocks of concern. Sockeye begin arriving in this area in mid-August but the Chilko fishery willingly delays to allow the weaker population of south Chilko Lake sockeye an opportunity to migrate past before their fishery starts, and fisheries may last until mid-September. 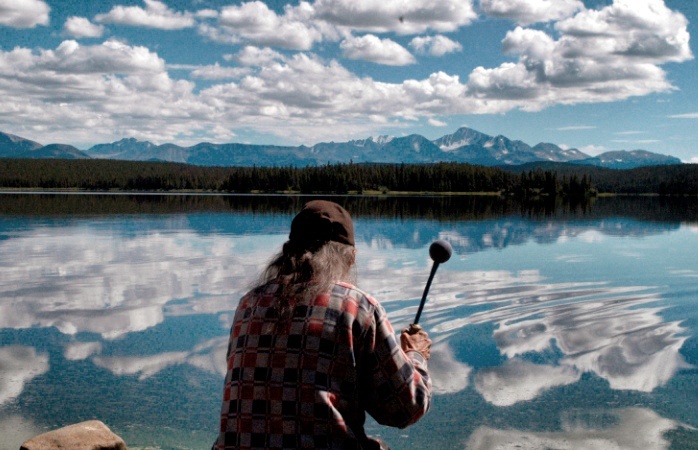 The Tsilhqot’in People of Xeni Gwet’in are one of six Tsilhqot’in communities – strongly independent and self-sufficient in their territory since time immemorial. The People of Xeni (pronounced “honey”) take pride in their historic protection and preservation of the land, resources, and culture. Xeni is in the heart of British Columbia – the Nemiah Valley. The Nemiah Valley is one of the most beautiful areas within the Cariboo Chilcotin. The land is virtually “un-touched.” This remote community is also the home of the legendary wild horses and Chilko sockeye. Situated at the head waters of the Chilko River, the Xeni Gwet’in Fishery is truly a sustainable river-of-origin fishery. The people of Xeni Gwet’in acknowledge and support the mission statement developed at the 2008 Chilko River Roundtable which states: “The Chilko River Watershed, including Taseko Lake, within the Xeni Gwet’in Caretaker Area is a self-sustaining, wild environment and will remain a source of clean water, clean air and abundant fish and wildlife forever, providing an example of how people use and live respectfully with the land”. There are two rivers in the territory, the Taseko River and the Chilko River. The Chilko River is marked by a well-known landmark, called “Henry’s Crossing”. 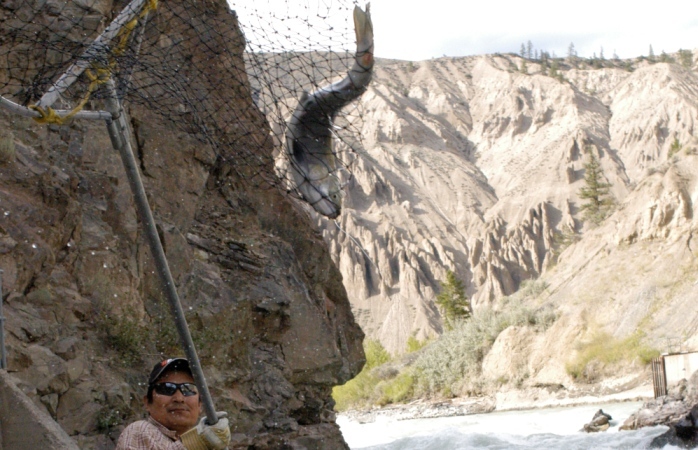 In the summer months, the people of Xeni move to the rivers to catch spring salmon and sockeye using dip nets. The summer camp at Henr’s Crossing is a place where the people can dry and smoke their fish to store for the winter months. The Tsilhqot’in People of Xeni and the community they represent are the stewards of the Xeni Gwet’in Caretaker area including the salmon that call the Chilko River watershed (including the Taseko River Watershed and part of the Fraser Basin Watershed) their home. In 2006 they established a formal watershed plan for quality waters – enhancing local ecosystem management, and rebounding fish abundance through conservation. The Tsilhqot’in People of Xeni and the community they represent have made it abundantly obvious that they are the stewards of the Xeni Gwet’in Caretaker area including the salmon that call the Chilko River watershed (including the Taseko River Watershed and part of the Fraser Basin Watershed) their home. The connection to their land is firmly supported by the late Justice J. Vickers in his Supreme Court of British Columbia 2007 decision relating to the Roger William rights and title case: The Xeni Gwet’in are viewed amongst Tsilhqot’in people as the caretakers of the lands in and about Xeni…are charged with the sacred duty to protect the “nen” (land). Salmon are the keystone species of the Taseko and Chilko River watersheds and their value to the broader human marketplace is indisputable. However, the extent to which the Xeni Gwet’in First Nation and the flora and fauna of the watershed rely on this truly sustainable resource is immeserable. Work with applicable agencies to implement the Ecosystem-based Conservation Plan including monitoring and enforcement. The Chilko Select logo is a celebration of the Xeni People and our relationship with the Chilko salmon in all of its forms. Celebrated in life and as a food source, we are dependent upon one-another. The colors and shape of our sockeye icon represents this magnificent animal in its mature form, red colors representing the deep rich color of the nutrient rich meat, and the blue splashing waters the clean pristine waters of the Chilko River. The Brittany Triangle is the remotest area left in western Canada where some 200 wild horses pre-dated European contact. DNA studies have been undertaken recently within the Eagle Lake Henry ?Qayus wild horse reserve created by the Xeni Gwet’in and is the only wild horse preserve in western Canada. According to their report, DNA was analyzed from blood samples taken from domestic horses captured in the wild as well as from hair samples collected from tree branches and bedding areas, and “Historic documentation indicates that Brittany horses most likely originated from horses of Spanish ancestry brought in to the area by Tsilhqot’in First Nations about 1740 along ancient trade routes from Plateau grasslands to the south”. For more information visit: Friends of Nemaiah Valley. The Super-fish. 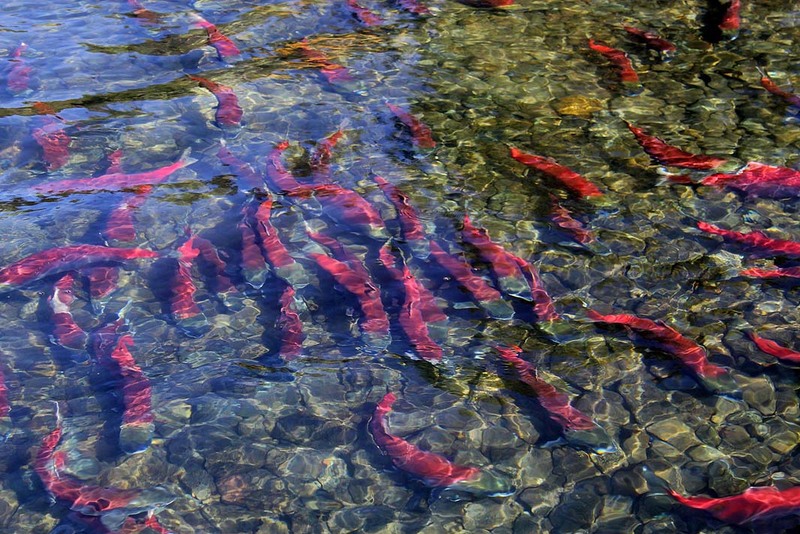 Research has shown the Chilko Sockeye to be considered the Super-Fish because they are conditioned with an efficient metabolism to withstand a long a migratory route that is extraordinarily difficult. – Read more about the Super Fish on the Tsylos blog.